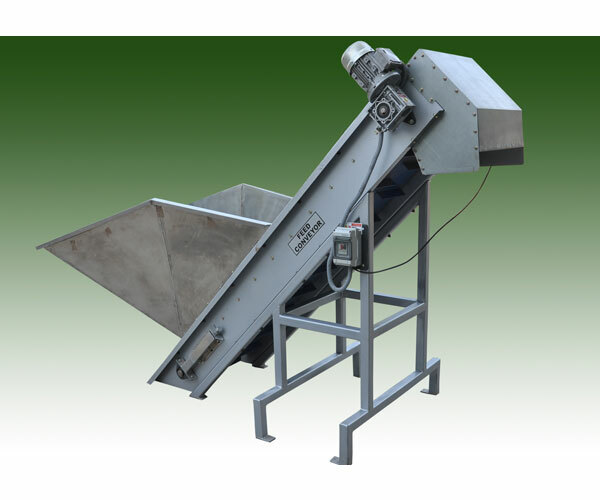 In feeding elevator the products are dumped manually on the hopper. 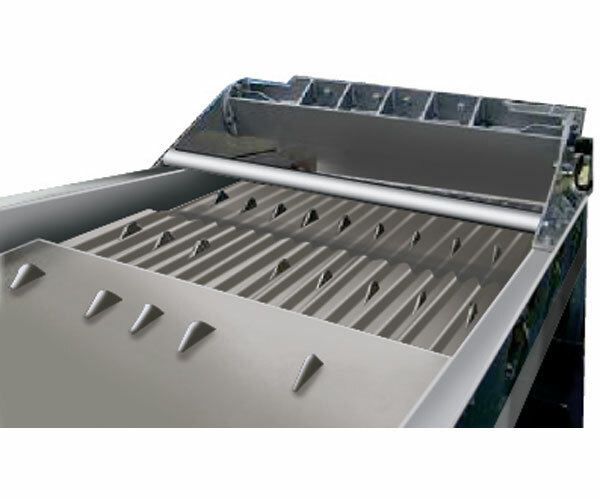 The hopper is designed in such a way that all the load of the products gets centralized at the entrance of the belt. The belt elevates the products to the required height. Sorting table consists of PVC rollers. 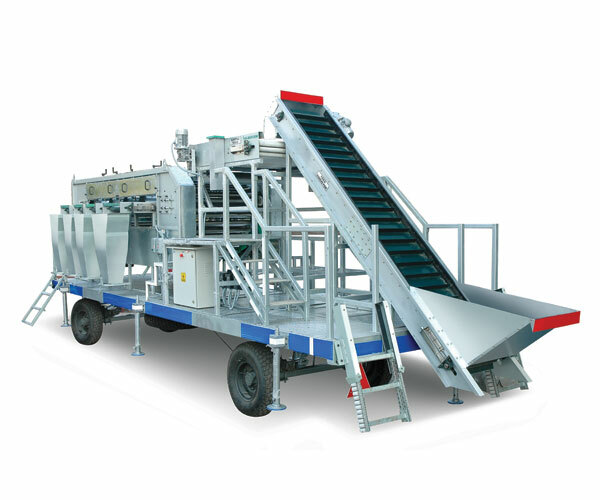 The products will be dumped onto the rollers by elevator which will be conveyed forward with the help of the rollers. 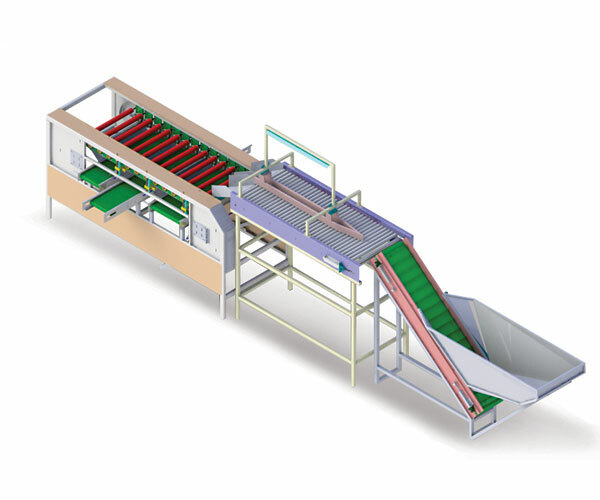 On the sorting section, rollers will move on their own axis & at the same time shall move forward. 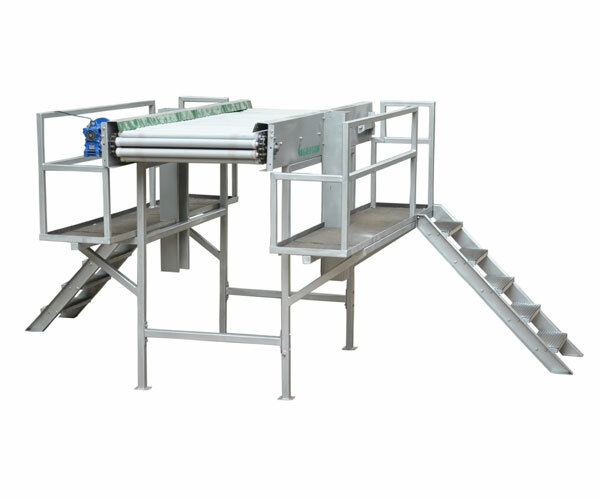 The workers standing on both sides of the machine will sort out the damaged or rotten products and will take such products out of the conveyor. Suitable spout is provided for the easy removal f rotten products. 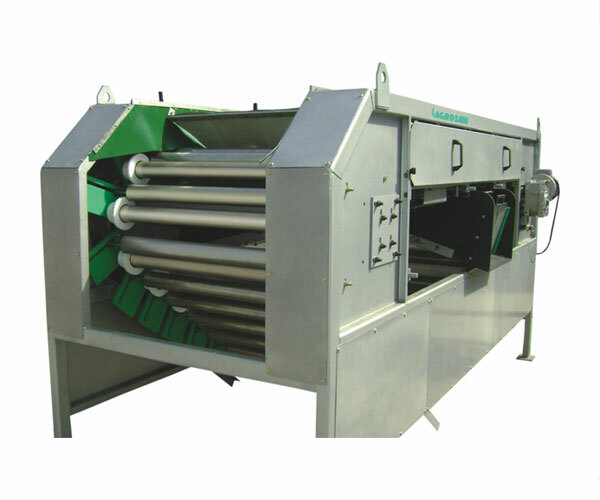 It is used for lengthwise garding of vegetables like carrot, radish, cucumber and lady fingers. Length adjustment is available in the machine.